Antiarrhythmic drugs are super tough to memorize. This post is about weird drawings and memory aids that will hopefully help you lovely medicos. Here it goes! The Queen proclaims dis (this) pyramid. 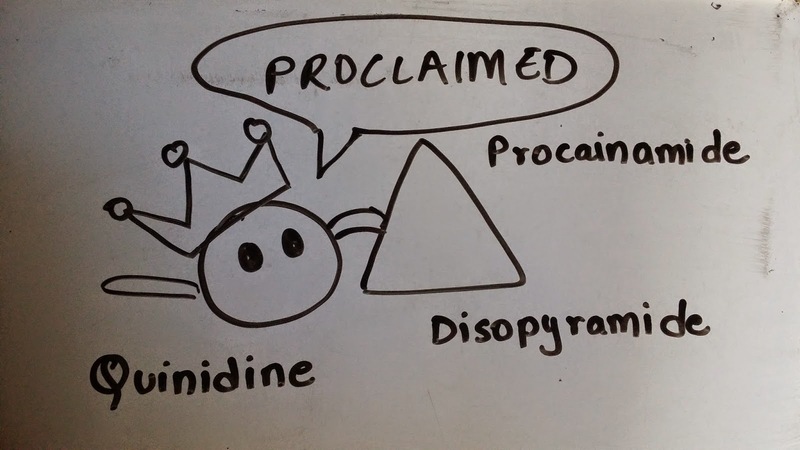 For 1 A: Quinidine, Procainamide, Disopyramide. Queens are royalty, first class people. This helps me remember class 1 A as well. I also think A for active and active people have potential for more duration, associating the fact that class I A drugs prolong action potential duration. I Buy Lidy's Mexican tacos. 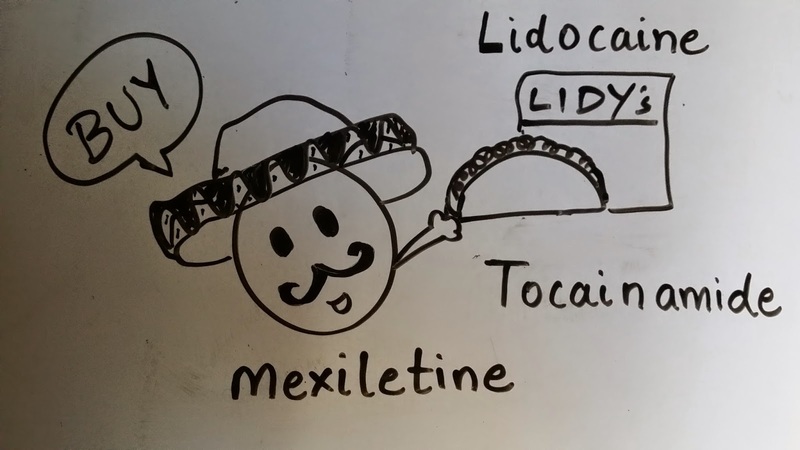 For 1 B: Lidocaine, Mexiletine, Tocainamide. Again, I think of B for Bored, not active people; have less or reduced potential. Associating the fact that the class I B drugs decrease action potential duration. Can I have More Fries Please? 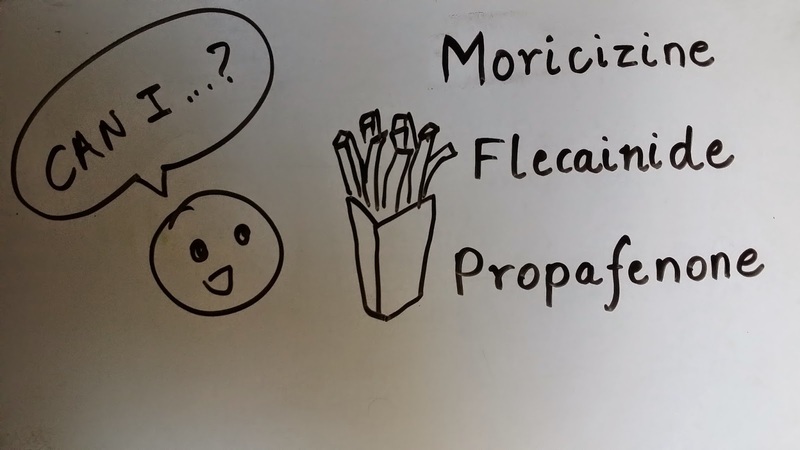 For 1 C: Moricizine, Flecainide, Propafenone. I but.. Am sota (sort of) bretting (betting) on dofu (tofu), K (okay)? 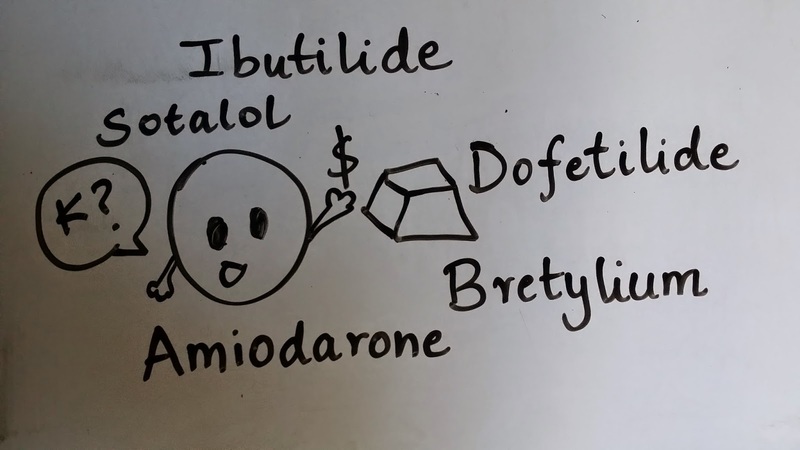 Class 3: Ibutilide, Amiodarone, Sotalol, Bretylium, Dofetilide. K to remember Potassium channels. "No bad boy keeps clean." Is a good mnemonic for Na, Beta, K, Ca blockers. I have been wanting to write this post for a long time now. Glad I finally did! 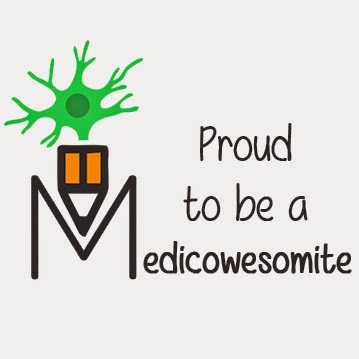 Thank you for such awesome posts!! So happy to know that they helped to remember. Courtesy - first aid usmle. But thanks! I didn't know the mnemonic was there in First Aid as well. It wasn't included in my First Aid. You're a life saver :D thanks for this! Will keep you in my prayers for this! Thanks For Your Sharing.I think it is just like Picmonic.They charge more but You are not!!!! Woww woww!! Such a creativity! Thanks a lot!